We asked dozens of ordinary people what they would like to know before embarking on a pilgrimage to Santiago de Compostela. The result is this directory of frequently asked questions on the Camino de Santiago in continuous expansion. 1. Can you do the Camino de Santiago alone? 2. Do you have to book the hostels, hostels or pensions where we go to sleep? 3. Who has priority to take the place in shelters? 4. What donations should be left in the shelters? 5. Can the Camino be made with pets? 6. Is it well marked or do you need a guide or map? 7. Can you do tourism while you are on the Camino de Santiago? 8. How much weight can I carry in my backpack? 9. What kind of clothes should I wear? 10. What is the minimum mileage I need to get the compostela? 11. Is there a maximum or minimum time to do this? 12. Is walking shoes necessary? 13. How many routes of Santiago exist? 14. Which Camino de Santiago is best to start? 15. How much money do I need to make the Camino de Santiago? 16. 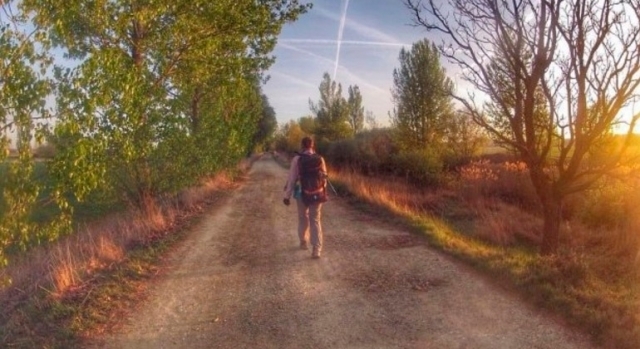 Do you have to be fit to walk the Camino? 17. Can it be done at any age? 18. Do you have to eat a specific diet while you are walking? 19. How can I return to my home from Santiago de Compostela? 20. What happens if I have an accident on the Camino de Santiago? 21. What is the best time of year to do so? 22. Where does the pilgrims shell and the yellow arrows come from? 23. If I am not religious, can I do the Camino? 24. I have registered before in some races: do I have to register and pay to do the Camino? 25. What do you have to do when you arrive in Santiago de Compostela? We know that the first time you decide to do the Camino de Santiago a sea of ​​doubts assaults you and that many times because you do not know how to solve them you do not finish deciding. Touring the Jacobean routes is a totally recommendable experience that we would like everyone to experience at least once in our lives and we do not want the unknowns on the Camino to throw anyone back. For this we have come up with an experiment: what do ordinary people really want to know before becoming pilgrims? For this we have been asking people of all ages and conditions to collect a battery of initial questions and then answer them, expanding with links to other content that we have already brought to ViveCamino.com previously. Our intention is that this list of frequently asked questions on the Camino de Santiago will continue to grow in order to accommodate all kinds of questions, treating the pilgrimage from all possible angles and answering them in a direct and concise manner. To begin here you have the first 25 that we will expand gradually, with the intention that this is a living content. If you want us to respond to new questions, you can leave them in the comments. Yes, making the Camino de Santiago is just as advisable to travel with friends or family. In en Camino you will meet many pilgrims with whom you can share pilgrimage if it is what you want. You will be the one who decides every moment if you want to walk for yourself, at your pace and with your schedules. You can not book in the pilgrims of the Camino de Santiago, at least the public ones, since it is assigned square to the pilgrims in strict order of arrival. In some private hostels you can contact in advance and ask if you can book a place for that night. In the rest of accommodations as a rule you can always tie more things and call to secure a bed. You must know that in public hostels you need the pilgrim's credential to identify yourself as such. This is where you will be sealed so that, when you arrive in Santiago you can request your compostela. In public hostels beds are assigned by strict order of arrival to the establishment, always having pilgrims with physical limitations, then pilgrims on foot, then those who make the journey on horseback, then those who do it on a bicycle and finally those who have support cars. Remember that on the Camino de Santiago we have to get up early and start walking so we can avoid encountering the problem of running out of places in the hostels. As the word indicates "donation" is free and optional, although it is highly recommended and appreciate that values ​​the expense that generates your stay in the hostel and you contribute an amount accordingly. He thinks that if we want the whole network of clusters, voluntary associations and hospitaleros can be maintained, the pilgrims must do our part. Ideally leave at least 5 or 6 euros per head. However, not all public hostels allow pilgrims to bring "the will", but they have a fixed price of around 8 euros. On the other hand, private shelters usually charge between 10 and 12 euros per night. You can do the Camino de Santiago with dog without problem, although you have to take into account the exceptionality of walking with a pet and having in mind your needs. When looking for accommodation, it is always advisable to call the hostels in advance to ask if they allow pets; If they do you should keep in mind that normally pets sleep tied in outdoor patio. A good alternative that many pilgrims choose when traveling with dogs is sleeping in camping with tent to separate their dog as little as possible. It all depends on the Jacobean route you choose. If you opt for the French Way, you will not have any problems, because it is signposted in its entirety and it is difficult to get lost. In the case of other routes such as the Camino del Norte, the Portuguese Way or the Primitive Way, you will also find signs, although it is always advisable to study the terrain beforehand to know where these routes are going. A smart option is to take advantage of the fact that you carry your smartphone with you to download maps of the routes or directly consult Camino de Santiago apps like ViveCamino (Android and iOS). In it you will not only be able to consult the routes and geolocalizarte in them, but also to discover accommodations and place where to eat in each locality. Yes, you can do tourism while pilgrims and take your time to visit some impressive towns and cities of Camino, such as Santiago de Compostela. The best idea is to get up early to walk the stages first thing in the morning, arriving at your destination at noon. When you have already secured the accommodation, you have all the rest of the day to do tourism at your pace. The volume of our backpack on the Camino de Santiago has always to be linked to our body weight so that walking the routes Jacobean with her back will not become a hell. Our backpack should not exceed 10-12% of our weight; As a reference for men we can take 7.5-8 kg and for women 6-6.5 kg. You must always be prepared for the rain, one of the pilgrim's worst enemies and he can reach you at any time. Regardless of the time of year, especially if we walk through Galicia, we must wear a raincoat just in case. It is advisable to wear comfortable clothes and to bump as little as possible, with materials that isolate and protect from the wind, logically taking into account the time of year in which we are going to do the Camino. We recommend you always check the time you will do on the Camino de Santiago to know in advance what you are going to find. At present you must travel at least 100 km on foot to get the compostela and 200 km by bike, distances to be shown by presenting the sealed credential upon your arrival in Santiago de Compostela. However there are recent exceptions such as the pilgrims departing from A Coruña on the English Way (from where they separate less than 100 km to Santiago). No. The pilgrimage to Santiago de Compostela is not a race or a competition, it is a journey that the pilgrims face by conviction, surpassing or pure curiosity and each one can do it at his own pace. Each pilgrim decides how far he walks and for how long. Many pilgrims decide to travel the last 3 or 4 stages to Santiago de Compostela and others spend months walking from their European countries of origin to the Holy City. Some hikers travel every day a few kilometers and a few decide to beat records by walking the Camino in several marathons. Walking with the help of walking sticks is optional. In the Camino you will see many pilgrims who use them and many others who do not, but from here we recommend them, especially to help you in a point of support more when you have to make rises or lows or overcome obstacles. It is also very useful for setting a uniform pacing pace. Only in the Peninsula there are dozens of routes, more or less forgotten centennial routes that have been rescued little by little thanks to the work of the associations of friends of the Camino de Santiago. However, the routes of Santiago extend throughout Europe, an inheritance of the medieval pilgrimages of faithful who sought to reach the holy city of Santiago de Compostela, where it is said that the remains of the Apostle. Some routes converge in other main Jacobean routes, like the French Way, that have like end of trip always Santiago de Compostela. It may sound cliché, but the best route to debut as a pilgrim is the French Way. The reason is very simple: we will find more services, accommodations and infrastructure than in any other route and also the signage is clear and constant, being difficult to get lost. In addition if it is the case that we lose, we will meet pilgrims on a constant basis that can help us and serve as a reference. The negative side is the great massification of this route, especially in summer, which will sometimes lead us to run out of place in some other hostel. As you can imagine, the expense that you can do walking the Camino de Santiago varies depending on which accommodations you choose to sleep in and whether you plan to eat yourself or restaurant. Let's assume that a pilgrim sleeps in public hostels every night, has breakfast in a bar, eats menu (quite affordable on the Camino) and cooks himself at night. The expense would be around 30 euros per day, or 210 euros a week. To that amount add at least 50 euros more that you can spend on some souvenir, some special food, expenses in pharmacies and maybe a night of pension if you come across all the complete hostels. Do not forget the bus or train tickets that will take you from home to the starting point of the Camino and back when you finish in Santiago. Yes, you must be in shape, although you do not need special physical conditions to do so. You must be in shape since you are going to perform a sport activity that you are probably not accustomed to: walking tens of kilometers a day in a chained way. This can happen to anyone if we do not carry out a previous preparation of at least six weeks (at least four) in which we must follow a training plan from lower to higher intensity. 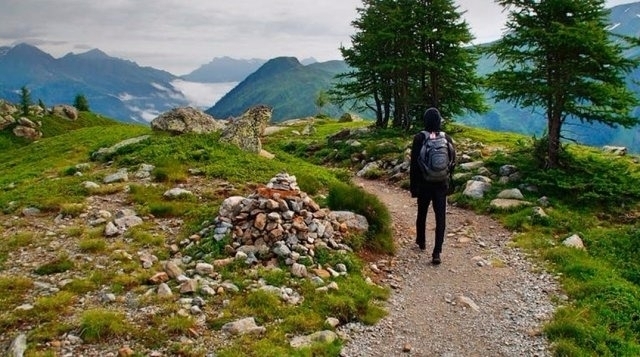 Yes, the Camino de Santiago is not a closed route, much less, so depending on the physical conditions of the pilgrim this can adapt the route to your needs by determining the number of stages that you want to do. You can cross the Camino de Santiago with children or with elderly people; If you do a realistic planning of the stages prior to the pilgrimage, there should be no problem. Yes. You are going to make a continuous effort first thing in the morning walking stages of about 5 hours on average. You should watch dehydration closely and ALWAYS carry water with you so you do not depend on finding sources. You should also take with you some solid food to eat in the middle of the morning while you rest to regain strength, but most importantly, take a balanced and complete breakfast without exception to start the day with well-charged batteries. Santiago de Compostela is very well connected with the main Spanish cities, with airport, train station and bus, so you will find options for all budgets when returning to your destination. By plane there is direct connection to Madrid and Barcelona, ​​from where international flights depart to the main cities of Europe and South America. Whenever we talk about minor setbacks, such as wounds, scratches, contractures, etc., the solution to our problems is simple and we can even get ourselves out of the way with a small medicine cabinet. For problems of some consideration it is always better to go to the emergency service as soon as possible and put ourselves in the hands of professionals. If you are a pilgrim from outside Spain you should know that the public health service is free and universal. The Camino de Santiago can be traced throughout the year, however the weather conditions are harsh in winter in the northern part of the Peninsula, so the best times to visit it are spring, summer and the beginning of autumn. If you have to choose, the best months are in April, May and September, with mild temperatures and with the Camino much less crowded than in summer; That yes, essential the raincoat. Do not forget to take a look at our tips for making the Camino de Santiago. Many point out that pilgrims began collecting shells of vieiria more than a thousand years ago after arriving in Santiago de Compostela to use them to drink in rivers and streams on their way back home. Little by little this utensil would end up becoming an element of identification of the pilgrims in itself and has been to this day. The yellow arrows on the Camino de Santiago is a much more recent tradition than many people think and it is situated at the end of the 20th century. The famous parish priest of O Cebreiro, Elías Valiña, a great defender of the Camino de Santiago, bought large quantities of yellow paint (color from which routes were painted for works) to mark the French Way from Roncesvalles to Santiago de Compostela Help the pilgrims not to get lost in their journey. Perfectly. Over the centuries, the Camino de Santiago has become a cultural event that transcends religion, although originally part of it. The motivations of pilgrims to encourage themselves to do the Camino are related to faith and spirituality, but also the desire for adventure, meeting people and meeting challenges. No one on the Camino will judge you by your motivations. As we have explained before, the Camino de Santiago is not a race or a competition, but a journey that every pilgrim walks at his pace and above all, enjoying the experience. No one can charge us for doing the Camino de Santiago, because nobody organizes it, so we do not have to register in any register. The only process that we have to comply with is found in the pilgrim's credential, but it is only for pilgrims who want to stay in public shelters. So that the hostels can verify who is and who is not pilgrim, it takes a control in a document that must be sealed to our passage by the Camino and that will be demanded to us when we ask for a place to sleep. When you arrive in Santiago de Compostela, specifically its cathedral in the Plaza del Obradoido, we can consider that you have completed the Camino de Santiago. You can visit the cathedral, attend the mass of the pilgrim, request the compostela and of course, enjoy Santiago de Compostela and its ancient charm (For this you have a look at our page on what to see in Santiago de Compostela). However you decide if you decide to continue the march or return home; If you still want more you can follow the Camino to Finisterre or Muxía, reaching in a few stages the Atlantic coast and completing your experience.